I am an open channel for divine love. I open my heart and share it with others. 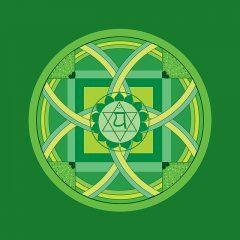 The heart chakra is the forth of seven main chakra’s set at the heart area at the centre of the body. 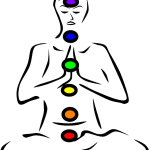 It is the central powerhouse of the entire chakra system. An open heart is vital to an individual’s ability to express love. Both self love and love of others. It is about peace, love, hope and caring. The heart chakra is representative of the element air which relates to heart and lungs. At this level images, words, sounds and smells are transformed to feelings. If we learn to love and fully accept all parts of our personality and body from the depths of our heart, it would seem we could be transformed and healed. Kinergetics and kinesiology is truly transformational and it is due to this post where the transformation lies. The heart chakra presents with green light energy spiralling off the body over it. It sits in the middle of the seven chakras. Most noteworthy this area is about balance on the inside and outside of our selves. Green is related to the heart and has a direct binding with heart and lungs. Green alleviates fear in traumatic situations and is effective in treating shock. Green is the peace restorer and promotes two way sharing. Green is the renewal of life and its highest vibration reflects the spirit of evolution. Becoming one with the entire universe. Having divine trust in it. Receive the latest news and updates!